The universal symbol for love, a heart, holds a universally beloved script. It’s one the most popular verses in the Bible: 1 Corinthians 13:7. First Corinthians is a letter from the apostle Paul to the early church in Corinth. In chapter 13, he eloquently describes love as humanity’s ultimate goal. He emphasizes that without love, we are nothing and goes on to describe pure love in this quote. Philosophers have identified seven types of love. This elegant piece is worthy to represent them all. 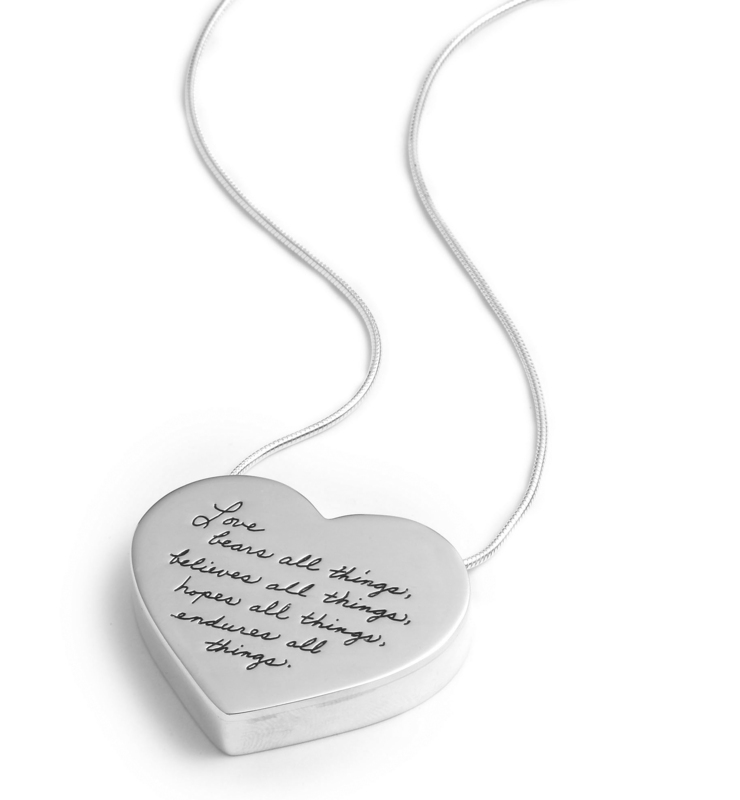 Based on the varieties of love, you can see that this necklace is a versatile gift choice. Perhaps today you’d like to show a little self-love and give yourself the gift of a new engraved bracelet.